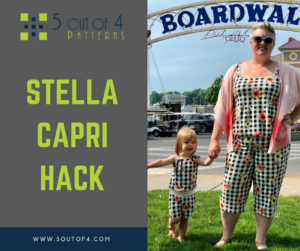 Today, we’re talking about the lovely Stella Romper! Pictured below is my youngest in her matching romper. I can’t count the compliments we received while vacationing. We were a sight to see and I had so much fun matching this sweet girl. I’ve got some serious love this pattern! As you all know the Stella Romper is shorts length. While it’s super cute I’ve always loved capri rompers! As a general rule I don’t wear shorts. They just aren’t something I’m normally comfortable in. However, when I tested the Stella Romper I found that really liked the shorts and they were quite comfortable. Although, maybe it’s because I’ve always worn capris that I’m drawn to them. So, as I looked at the pattern I said to myself, “Self, you best make this romper a capri and share it with all the lovely people!” So, here’s how I achieved one of the cutest things in my closet! 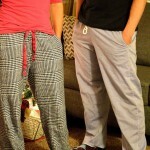 You can even use method to make pants, which would super cool and totally on my list of things to make. Oh my, how cute would the Girls’ Stella Romper be in a capri or pant! It really is pretty simple. As I know I’ve said before, the thing I love about hacks, mods and mashes are that the changes are up to you! 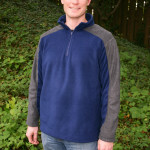 It’s easy to be adventurous and challenge your sewist brain to pull a puzzle together that’s unique. Get your Stella Women’s Romper and Stella Girls’ Romper today and try something fun and new! You won’t regret it and your creative brain will thank you! 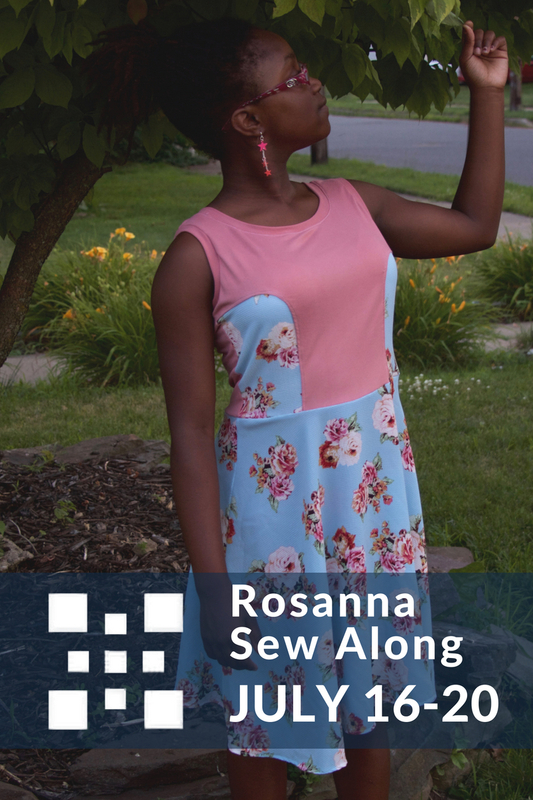 Don’t forget about the Rosanna Sew Along that’s happening next week! 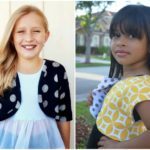 You better get that pattern while it’s on sale! Here’s all the info you need. 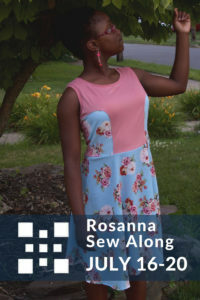 I can’t wait to share my Rosanna with you all. My closet is, quite literally, full of all 5 out of 4 Patterns and I couldn’t be happier!